DNB’s “first” peer-to-peer (P2P) mobile payment solution in Norway has become the number one downloaded app in the country. 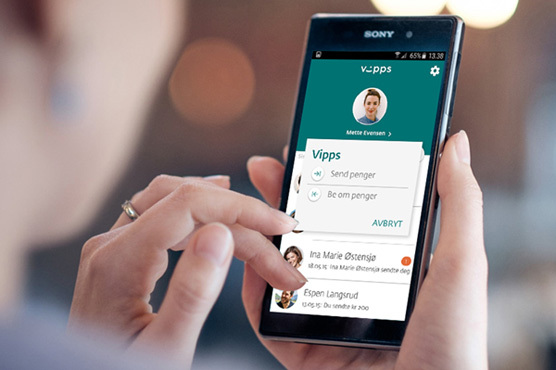 Dubbed “Vipps”, and launched six months ago with Tata Consultancy Services (TCS), it is now used by 25% of Norway’s population. The app is available for use on all mobile devices and it allows short chat messaging between users. It is not just for account holders of DNB, but can be used by any consumer. Susheel Vasudevan, vice-president, banking and financial services, TCS, says the global banking industry is “being shaped by evolving customer needs and changes in customer behaviour”. Luminor Bank is the new name and brand for the unified operations of Nordea and DNB in the Baltics region. Two separate deals with Prudential and Transamerica. BNP, Commerzbank and ING joined by Standard Chartered, DNB, and OP Financial Group.